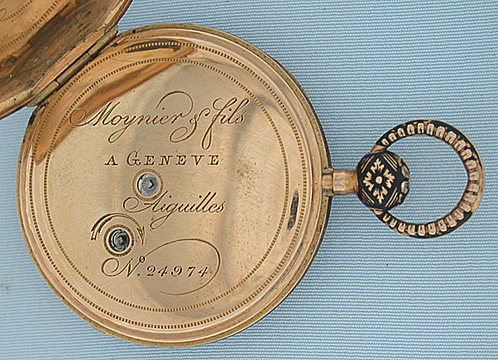 Fine and unusual Swiss18K gold and enamel jump hour quarter repeater antique pocket watch by Moynier & Fils, Geneva, circa 1830. 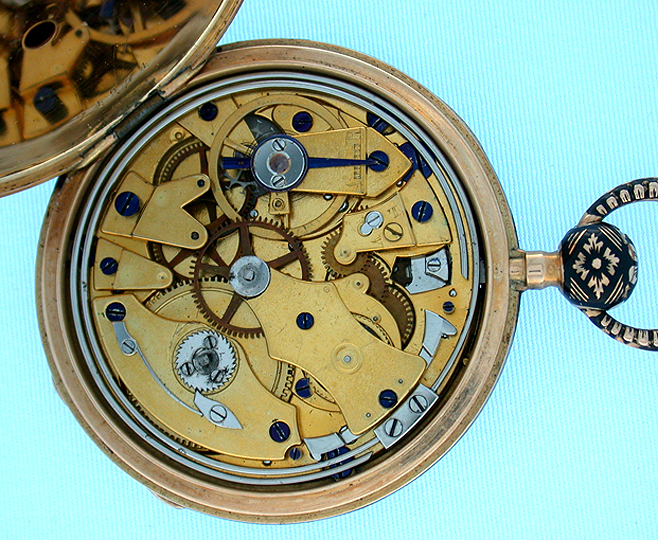 Silver engine turned dial with jump hour aperature above eccentric minute chapter with later minute hand. 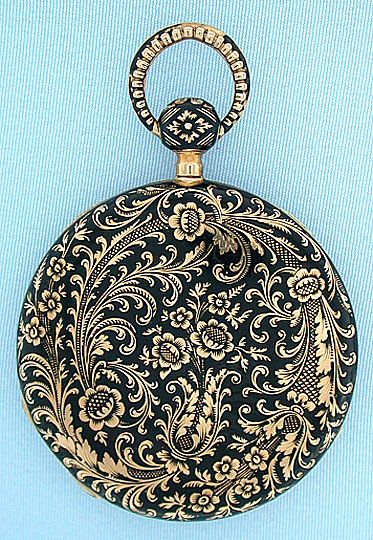 The case, pendant and bow beautifully engraved and enameled, with restorations to the back. 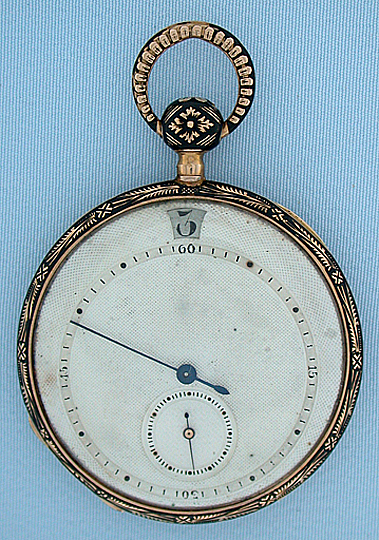 Lepine calibre 6 jewel cylinder movement chimes the time when the pendant is depressed. Very attractive and good tone.